Ground breaking research into the importance of cross border wildlife corridors for Caucasian Leopards is underway in Iran. The study has been funded by World Land Trust (WLT) and is being led by Iranian Cheetah Society (ICS), WLT’s conservation partner in Iran. Wide ranging predators such as Caucasian Leopards (Panthera pardus saxicolor) do not respect international borders – which can complicate matters for conservationists trying to coordinate activities to protect this endangered species. As a first step towards drawing up a conservation strategy for the Caucasian Leopard, ICS is focusing efforts on two areas where leopard are known to roam: in the western Alborz Mountains and along Iran’s border with Armenia and Azerbaijan. To answer this question, ICS is carrying out intensive field work to validate the presence of leopards and their main prey (ungulates) throughout the predicted corridors in Gilan, Ardabil, and parts of East Azerbaijan provinces. This approach requires detection/non-detection data for the target species across the entire landscape. The use of this method allows rapid, yet reliable, large-scale monitoring of Caucasian Leopards (via assessing presence, rather than estimating abundance). As well as field work, ICS staff are interviewing local people about leopard sightings to aid the research. Using interviews to monitor wildlife populations is a technique that has been successfully used over other similarly large areas, for example to estimate the presence of Jaguar in Nicaragua. This data will be used to assess the value of protecting the proposed corridors and to delineate priority areas for range-wide leopard conservation. The data will also be used to support a proposal that Iran’s Department of the Environment should grant legal protection to certain areas, and to explore opportunities for a regional cooperation between Iran and the southern Caucasus countries. The study so far has mapped the areas that are suitable for leopards, the extent to which these areas are already protected, and the proximity of one population of leopards to another. Initial findings indicate that the Alborz landscape hosts the larger of the two leopard populations and that connectivity between the two is through Azerbaijan. This means that protecting the leopard’s full range will involve cooperation between Iran and Azerbaijan and highlights the importance of cross border collaboration. This is one of the first projects of its kind to consider wildlife moving across international borders in the Near East. It is likely to become a model to guide similar international conservation efforts in Azerbaijan and Armenia. Trail cameras also have a part to play in monitoring Iran’s large carnivores. 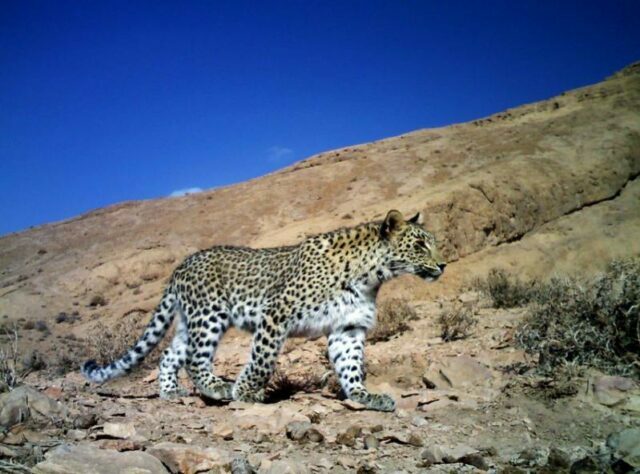 The leopard pictured above was recorded by a trail camera in Bafq Protected Area in Yazd province, Iran. The image was entered in WLT’s International Trail Camera Competition in association with The Times in 2014. The project will continue until July 2016. The project has been funded thanks to donations to WLT’s Big Cat Appeal in 2014-15. 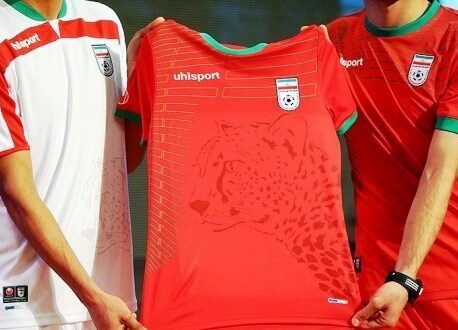 Initial findings have been delivered to the Iranian Department of Environment and published in Biological Conservation. Since 2010 WLT has been supporting projects to save the Caucasian Leopard in partnership with the Armenian conservation organisation, Foundation for Preservation of Wildlife and Cultural Assets. Since 2014, WLT’s partnership with ICS has added an international dimension to efforts to conserve the Caucasian Leopard and its habitat. 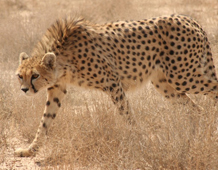 You can support the work of Iranian Cheetah Society by donating to the ICS Just Giving page.